The GSX-R1000 that Michael Dunlop took to a win at this year’s Isle of Man TT in the Senior race will be the star attraction of Suzuki’s display at the NEC show in Birmingham next month. Sat alongside the GSXR at Motorcycle Live will also be Richard Cooper’s Bennetts Superstock 1000 machine and young gun, Bradley Ray's Buildbase Suzuki GSX-R1000 Superbike, which he used in this year’s BSB. 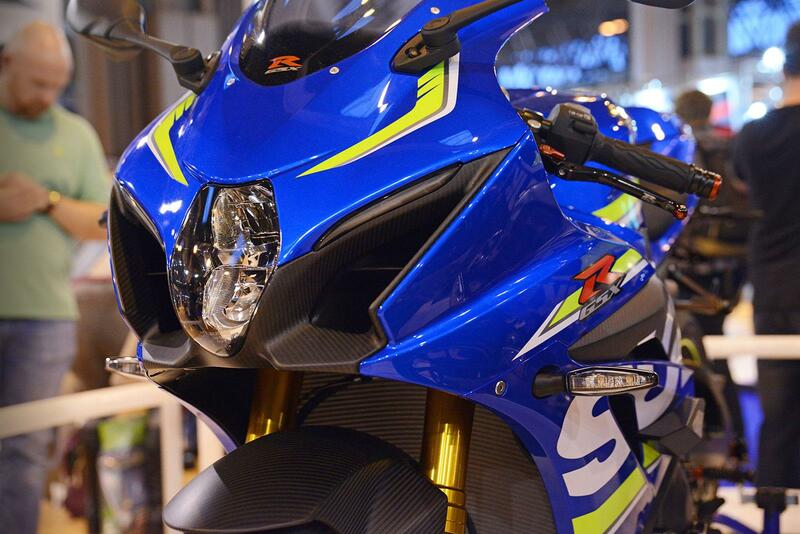 And to top it off, Suzuki’s impressive GSX-RR MotoGP motorcycle will be amongst the crowd. And for the riders looking for bikes they can actually purchase, all the 2018 V-Stroms will be present; The 250, 605 and 1000. Suzuki are due to bring some classic bike to this year's NEC show: The GSX-R750F ‘Slabby’ that was restored during the 2015’s Motorcycle Live, the RG500 Gamma, a GT380, a Team Classic Suzuki XR69 and an RGV250 XR94. To entice you to stop and drool over these bikes further, Suzuki will be offering free teas and coffees too. 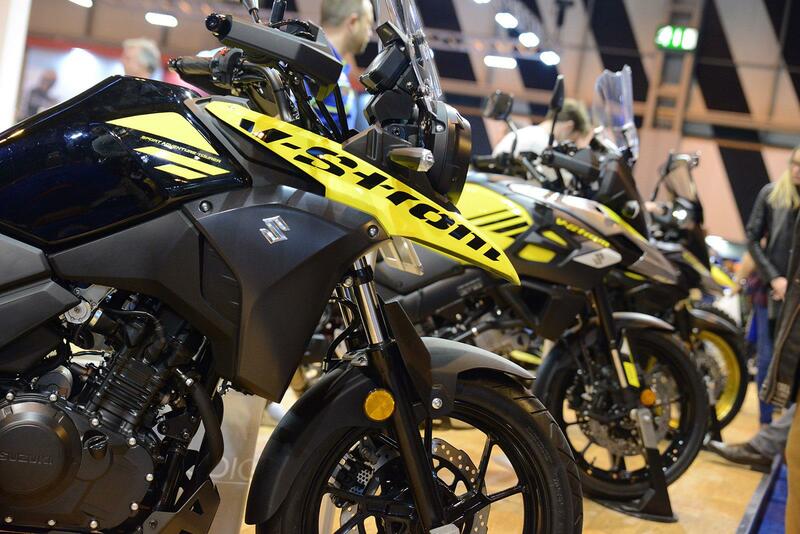 Motorcycle live will be opening its doors to the public on 18 November, and you can track down Suzuki on stand 3A20. 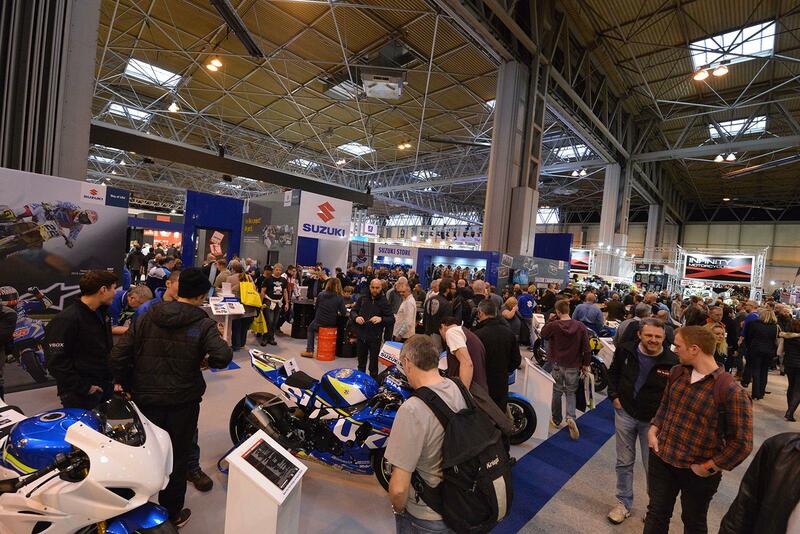 Advance tickets for Motorcycle Live 2017, which takes place November 18-26 at the NEC, Birmingham are on sale now. Buyers of advance tickets will benefit from significant savings in comparison to on-the-door prices, and this year they will also be in with a chance of winning one of hundreds of on-the-spot prizes in this year's Golden Ticket promotion. There will be at least 38 manufacturers in attendance at this year's show, many of them with brand new models that will not have been seen in the UK before. There will also be riding opportunities, celebrity appearances, interactive entertainment, classic, custom and special manufacturer displays and the always popular freestyle motocross show presented by Arenacross. This year advance tickets will be priced at £19.50 for adults, £12 for seniors and £1 for 11-16-year-olds. Children under 10 years of age will get in free. There is also a more expensive ticket, which costs £25 and includes a Spada Gonzo bag worth £29.99. This ticket offer is only available while stocks last. Head to www.motorcyclelive.co.uk for more information and to purchase tickets. Check out our gallery of pictures from Motorcycle Live 2016 to get a taste of the show.